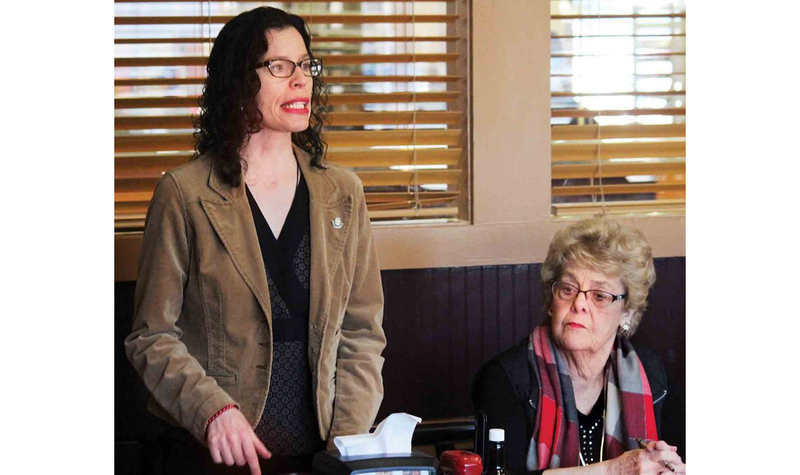 State Sen. Patricia Rucker, R-Jefferson, Education Committee chair, stands next to Sen. Donna Boley, R-Pleasants, Friday morning while talking to the Mountaineer Breakfast Club about education reform efforts in the state. PARKERSBURG, W.Va. — The chair of the West Virginia Senate Education Committee says she plans to bring all of the items in the defeated education omnibus bill back to the table during the upcoming special session. 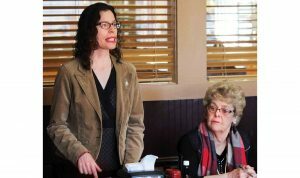 State Sen. Patricia Rucker, R-Jefferson, spoke Friday morning at Golden Corral during the monthly meeting of the Mountaineer Breakfast Club, formerly known as the Boley Breakfast Club, is a group of residents and elected officials which meets monthly to discuss political and social issues facing West Virginia communities. The group was created by Sen. Donna Boley, R-Pleasants, who also attended Friday’s meeting. Rucker spoke briefly on the history of Senate Bill 451, a wide-ranging education reform plan which included charter schools and education savings accounts, as well as a pay raise for teachers and school service personnel.